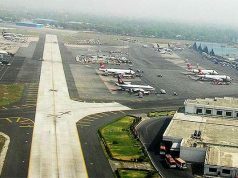 PUNE: The development of the Rs 10,000-crore greenfield international airport at Purandar in Pune received a boost with a no-objection certificate from the Indian Airforce. The proposed Chhatrapati Sambhaji Raje International Airport project in Pune was stuck for almost a year awaiting clearance from ministry of defence. 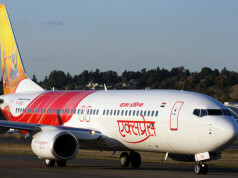 The Maharashtra Airport Development Company (MADC), the agency executing the project, has got a conditional clearance, which said that all civil scheduled or non-scheduled flights will have to be shifted to new Purandar Aerodrome after its operationalisation. The Pune Civil Airport functions from the IAF airbase at Lohegaon which houses the Sukhoi fleet. This restricts flight movements and scope of expansion because of which a new airport was needed. After years of deliberations and change in suitable sites, the Airport Authority of India and the Maharashtra state government approved the Purandar location, which is around 20 kms from Pune. The proposed airport would need around 2,400 acres of land and the Pune collectorate has started work on the land acquisition process. 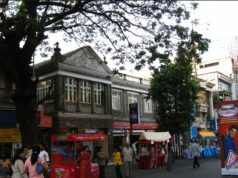 Maharasthra chief minister Devendra, Fadnavis had said that the Changi Group of Singapore has expressed interest in this airport. With this clearance from the IAF, the airport project will be back on track. The IAF had raised objections to the location and alignment of the runway of the proposed airport. They were concerned that it could affect functionality of IAF base at Lohegaon and wanted the new runway to be exactly parallel to the Lohegaon airport runway. The Air Force has laid down conditions that the air traffic service route W-28 to be relocated outside local flying area of Pune. Approach control service based on radar will be continued to be provided by IAF (Pune Air Traffic Control).